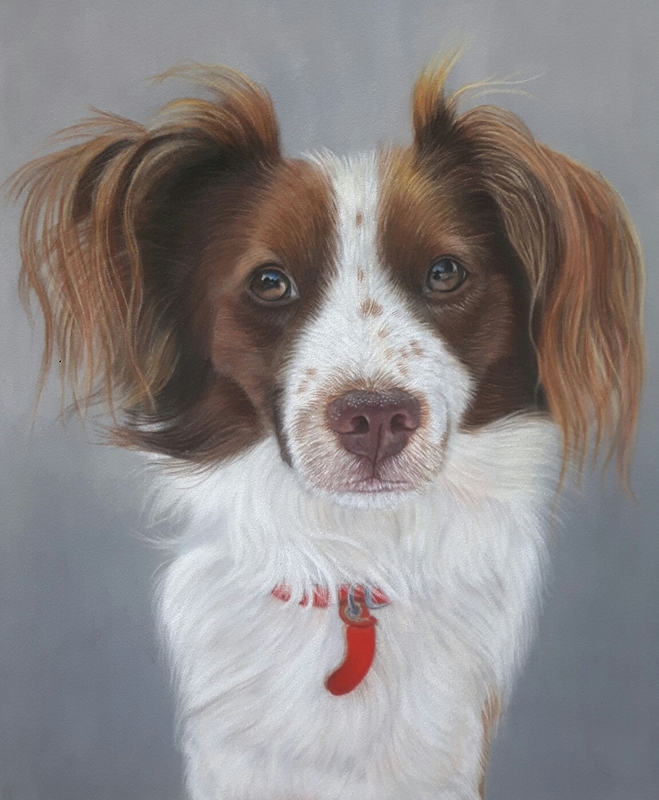 Animal and pet portraits are one of the many delights of being a portrait artist. I love my job! I have always loved animals, from my first hamster to rabbits and many more. Then my cat Mickey who came with our first house! 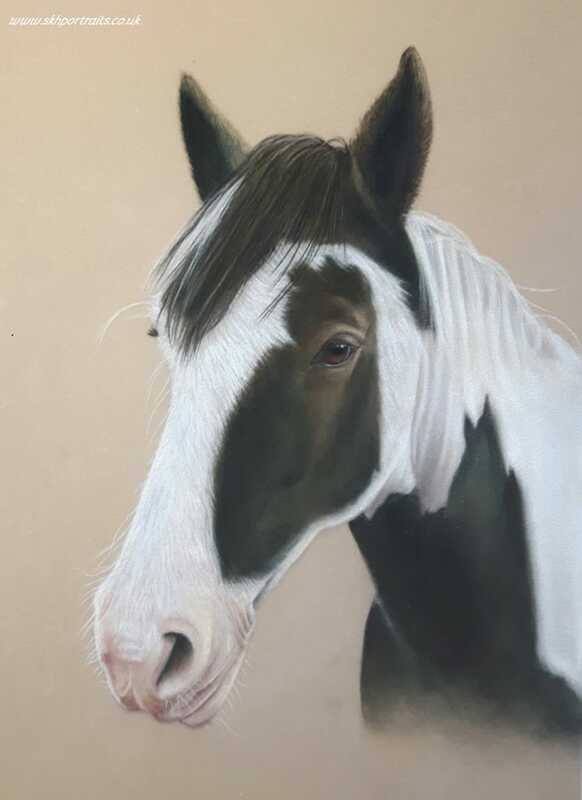 I love painting life and that is why I paint animal portraits. I use only the finest professional soft pastels because they are incredibly light fast. This means your animal portrait will last a lifetime in a glass frame. 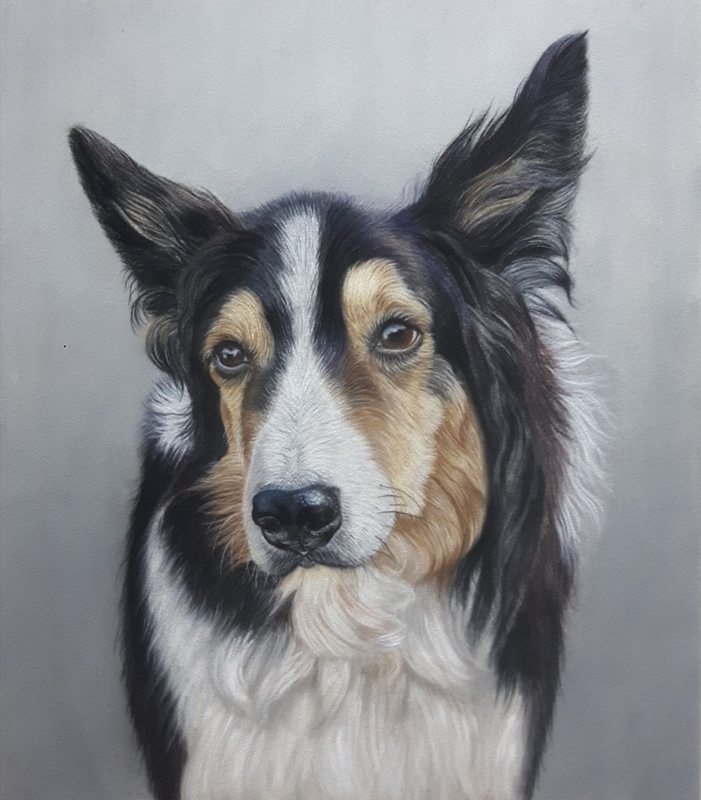 Read more about how to commission a portrait and find out more about dog portraits, horse portraits and cat portraits. 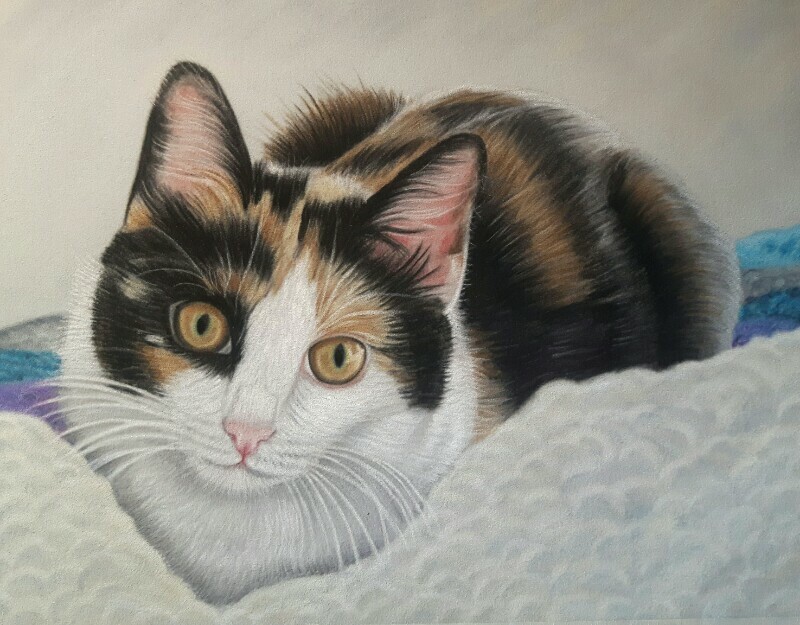 Whether you are looking for an animal portrait for your own home or as a gift my top priority is your complete satisfaction. I like to update you throughout the process so you can see your pet portrait progress from the first line drawing though to completion. I will send you a progress photo after every session – you can feel free to comment and suggest amendments is necessary. This can be done by sending photos via email or Facebook messenger. Your portrait will take a minimum of 5 days – the time taken depends on the size and number of subjects in the painting. 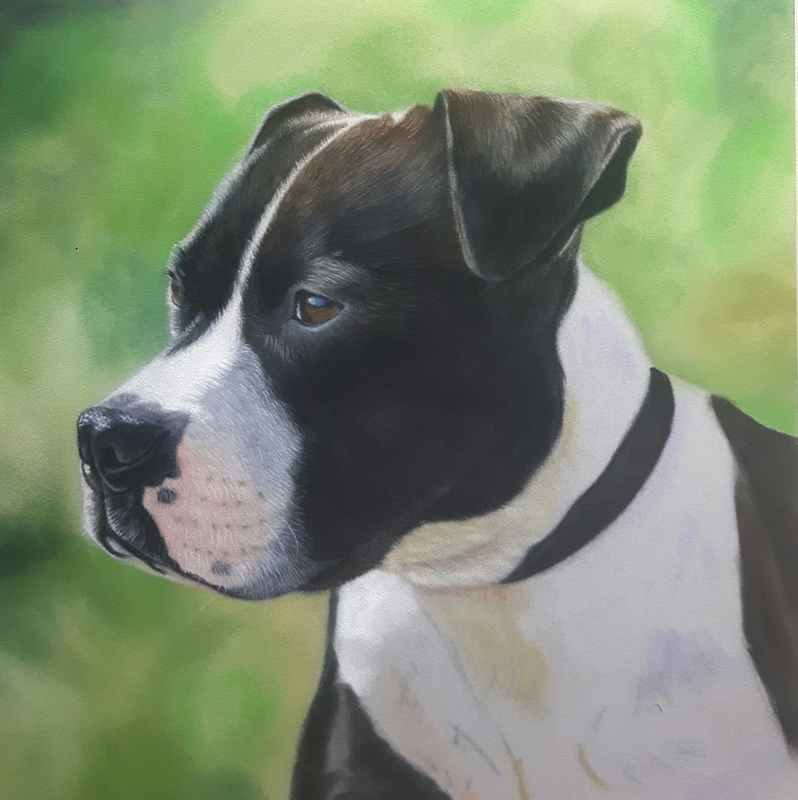 I often have a waiting list but if you have a special occasion coming up and need your pet portrait for a specific date I will do my best to fit you in. 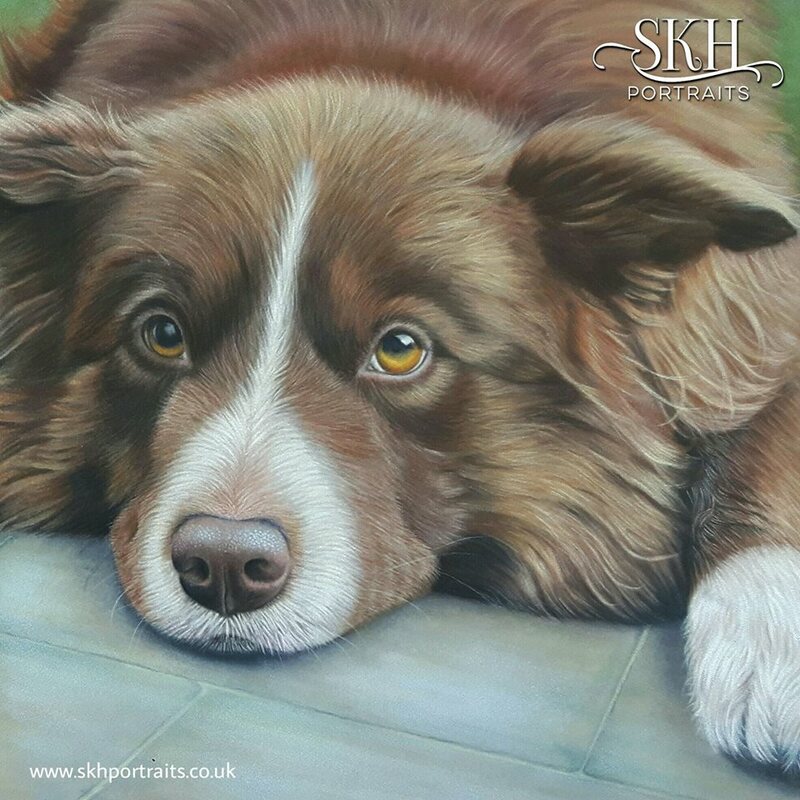 You can follow my Facebook page Portraits & Fine Art by Sue Kerrigan-Harris where I post my latest work (with my customers permission). If your portrait is a surprise for a birthday I can be very discrete so the surprise is not ruined – just let me know the date it is needed for so I can ensure there is time to complete and frame the portrait. Some framers can take up to 5 weeks to frame a painting (even longer before Christmas) so this is worth bearing in mind. 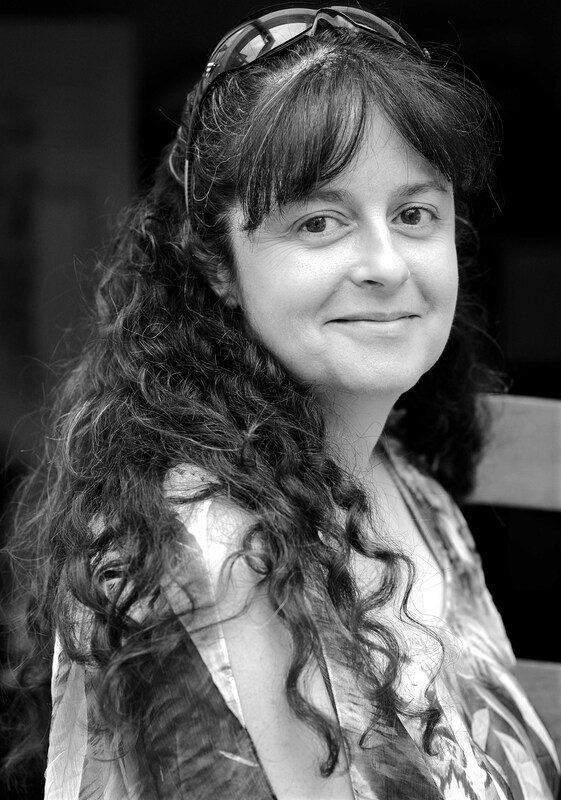 To commission a portrait email me including your photographs here or call me on 07740 282399. To commission a portrait, simply send me an email with your photos and I will get back to you, usually within a few hours.